the Rhubarb Celebration and Sale featuring rhubarb pies and other treats, rhubarb soda, rhubarb ice cream, recipe books, rhubarb plants, and fresh rhubarb. Attendance was down somewhat, to 700 visitors, due to the change in date. Previously held over Memorial Day weekend, the Festival was moved to the second Saturday in June in large part because more rhubarb is available. But also, Lenox businesses were already busy on Memorial Day Weekend, and it is everyone’s hope that bringing visitors to Lenox on the off weekend between Memorial Day and the opening of Tanglewood will be better for local businesses. A traditional pancake breakfast, with a twist – Rhubarb! 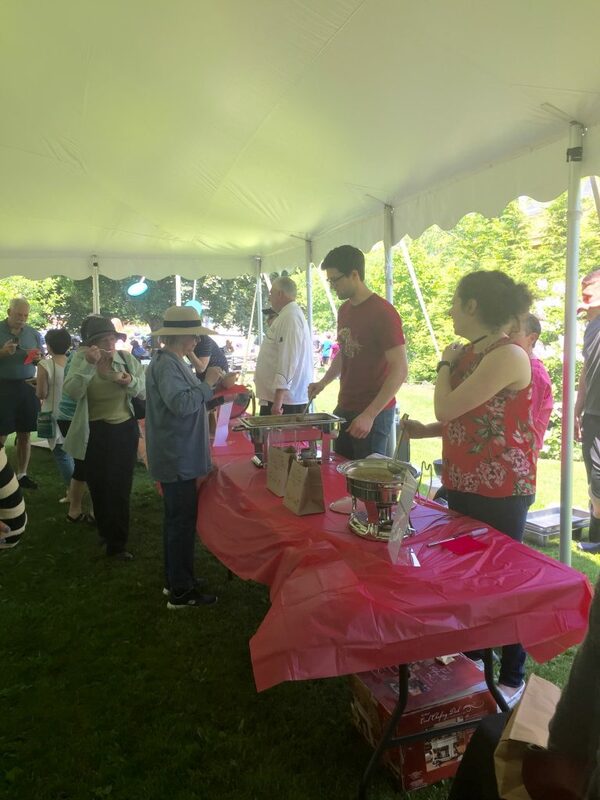 Once again, Church on the Hill volunteers hosted a rhubarb pancake breakfast next to the chapel at 55 Main Street, offering pancakes with rhubarb sauce, sausages, juice, and coffee. 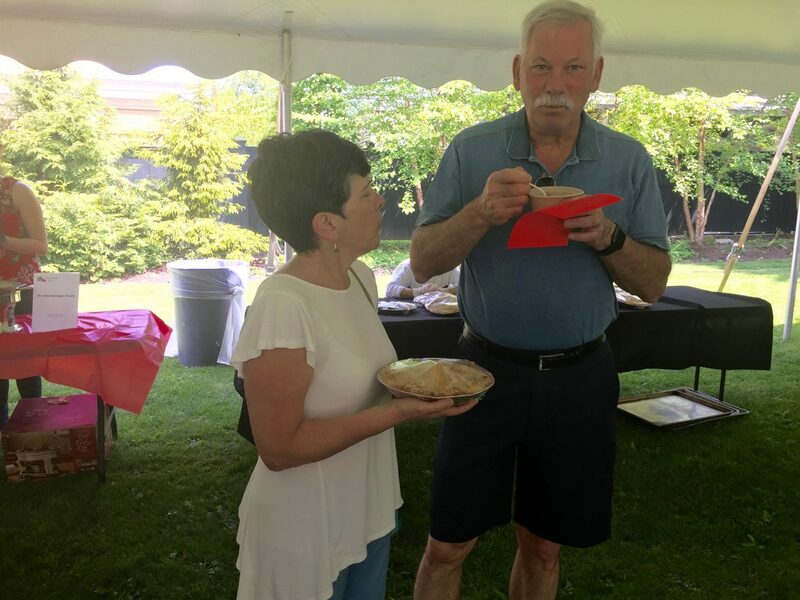 This year’s Rhubarb Chili Contest ran from 10:00 am until nearly 2:00 pm in Library Park, 18 Main Street, Lenox. Three chefs from Lenox restaurants offered a variety of unique takes on chili, ranging from the traditional to the very different. The Tanglewood Brass Octet, led by trombonist Mike Oft of Lenox Dale, played a variety of crowd-pleasing, popular tunes for an hour in the middle of the festival.